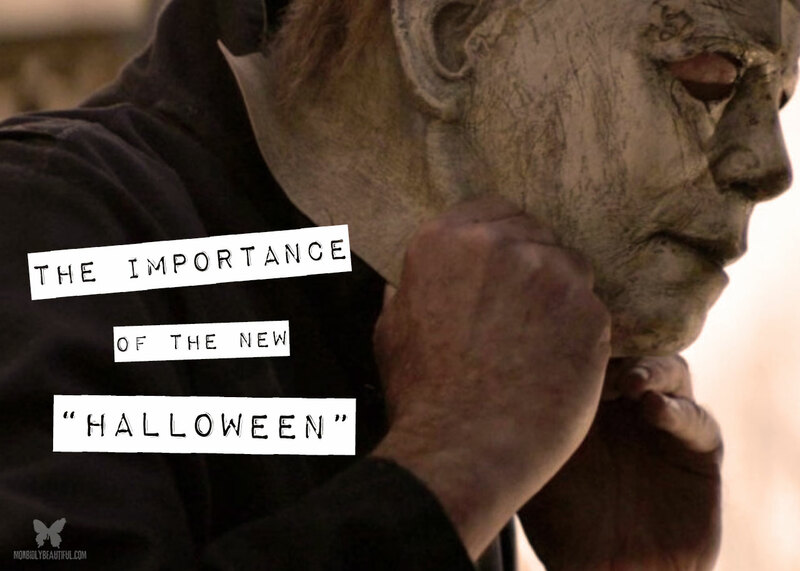 The Shape Returns: What the new “Halloween” means for horror fans, the future of the genre, and the very real possibility of a slasher Renaissance. Horror is at an all time high now, as proof positive by The Nun‘s killer box office weekend. One thing that is a constant in the genre is that things come in cycles. For example, just a few short years ago, it was damn near impossible to go anywhere without seeing something related to Vampires. True Blood, The Vampire Diaries, and yes even Twilight were a huge part of not just horror but pop culture as whole. Then shortly thereafter, Zombies were all the rage, thanks in no small part to the juggernaut that was (and even kinda sorta to this day still is) AMC’s The Walking Dead. Most recently, ghosts, demons, possessions and the supernatural have been the hot trend in fright. 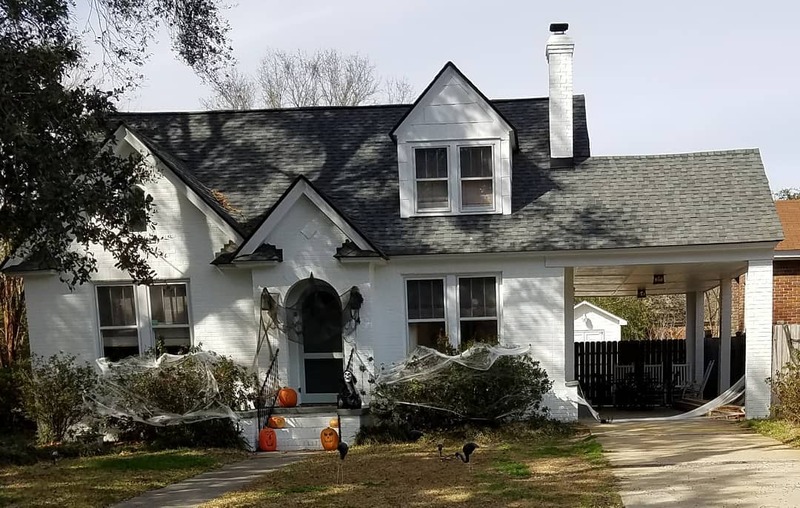 Films like The Conjuring (the best of the bunch), Paranormal Activity, The Nun, The Exorcism of Emily Rose, The Devil Inside, etc have all become common place in horror for the past few years. While there is nothing wrong with those films, or people who enjoy them, it”s time for the originals to come back and reclaim the throne. After the monster year (pun intended) horror had in 2017, it was evident that audiences new and old are expecting the next trend to be something familiar with something new. While both Get Out & The Shape Of Water shook up the genre by winning in major categories during awards season (including the Oscars), a proper adaptation of Stephen King’s classic novel It had audiences and critics raving (myself included). This was proof that what was old is new again. 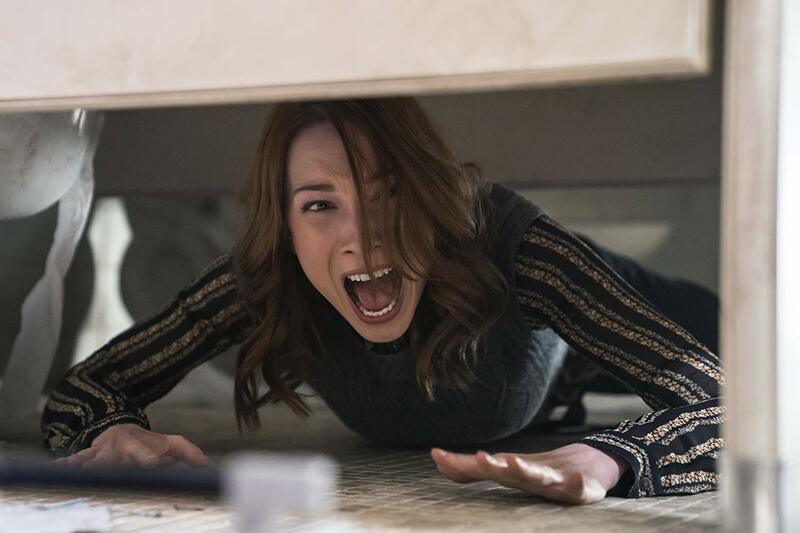 While IT is currently reigning as the highest grossing horror film of all time, there is one film coming that could dethrone Pennywise as the undisputed box office champ of horror. It’s a film that has been heavily hyped by two trailers that have only furthered the sky high expectations — leaving fans chomping at the bit for more. 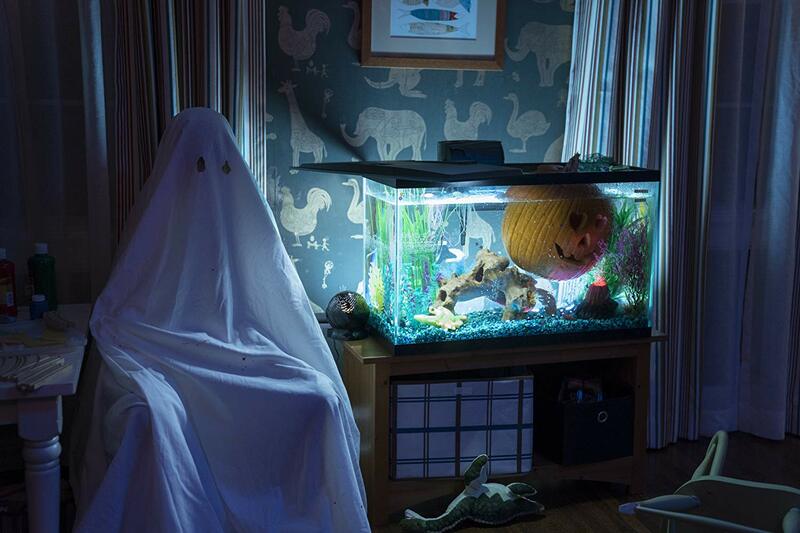 Of course, the film in question is the new take on HALLOWEEN. When it was first reported that David Gordon Green & Danny McBride were writing the next film with Green set to direct, fans were extremely cautious with their enthusiasm. Personally, I was already on board with this decision, especially with Universal Pictures/Blumhouse/Trancas International distributing and John Carpenter (who will be executive producing and scoring the new movie) himself giving the blessing based on their pitch. I am also a fan of Green and McBride’s previous work, so for me it was a true blessing in disguise that the franchise would be in the hands of some fresh blood not known for their work in the horror genre. Once Jamie Lee Curtis was announced to return as Laurie Strode, fans started to take notice but question as to how this would be possible when *SPOILER ALERT* The Shape dispatched of his sister during the opening scene of Halloween Resurrection. McBride, as the unofficial mouth piece for the production, stated that their film was ignoring everything that came after the first movie in the franchise. Once again fans were in an uproar over this bit of news. “How could they not make them related? !” “The fact that the films in the franchise are related is the whole backbone of Halloween.” “They just completely fucked up what Carpenter set up!” “What about the Curse of The Thorn?” “How is Laurie back if Michael killed her?” These were actual responses from people on message boards across the web. It’s simple kids. When they got the idea to bring The Shape back, both Green and McBride not only realized that the original is the best of the series (it’s an immortal classic still going strong 40 years later), but it gave them the option to start with a clean slate by ignoring the sequels and remakes. Sequels that Carpenter did not want to make. He has publicly admitted that the idea to make Laurie and Michael related came after drinking a lot of beer in front of the typewriter and having a case of writer’s block, a plot twist that he has hated for years. He felt as though there was no story after his initial film, yet was contracted for two sequels…one of which was Halloween 3: Season of the Witch (aka the one without Michael Myers, which is a great movie that you should give a second chance). With all the news coming and production stills coming out daily from the set, fans were starting to let their guards down and allow themselves to start getting hyped for their return to Haddonfield. The first trailer solidified the fact that this was indeed going to be the real deal, like Evander Holyfield, while reaching Marvel and Star Wars levels of views within 24 hours. In fact, It was previously the only other horror film to reach such feats, with Halloween easily surpassing that record. The second and International trailers (which at first I’ll admit didn’t think were necessary) further helped to ensure that this will be the must-see film come October. NECA and Fright-Rags will be bringing fans new merchandise to commemorate the new film. Fans are impatiently waiting for advance tickets to go on sale, so they can be one of the first to see it. Which brings us to TIFF ’18 where the film held its world premiere recently, and the response was massive! Early word of mouth is that this entry is the best since John Carpenter’s original film — that it gets so much right and does right by the fans. This is exactly the type of horror film we need now. Yes, it’s cool that we have such a variety of sub-genres within horror. However, slashers have been dormant for far too long. Like an evil Phoenix rising from the ashes, the slasher is set to return in a big way. 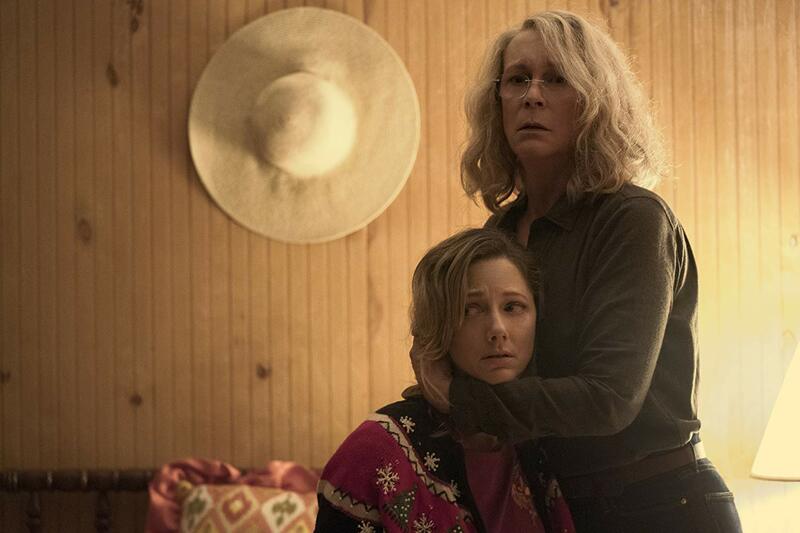 Mark my words: ‘Halloween’ will have a huge opening weekend. It will have legs that will carry it into November and continue its success. Much like he did 40 years earlier, Michael Myers will usher in the Birth, or better yet, Rebirth of the Slasher film. I guarantee that we will see a groundswell of slasher films in the aftermath of Halloween’s success. From classic villains like Freddy Krueger and Leatherface, to new slasher creations waiting to happen, we are at the epicenter of another Slasher Renaissance — all thanks to the return of the man in the William Shatner mask.